This auction is for 16 LUG NUTS & 16 STUDS in SILVER Titanium. If you have light weight forged alloy wheels you should complement them with our titanium to make the most of the wheels benefits. 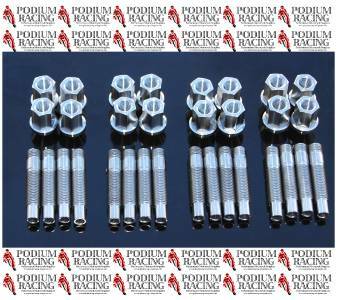 The nuts and studs are M12 x 1.50mm pitch thread. The studs are 66mm total length. Replace your nasty corroded heavy lug nuts with our genuine titanium direct replacements. Titanium has comparable strength to Grade 8 steel but weighs 45% less! * All parts are thread rolled! * Grade 5 Titanium which is naturally corrosion resistant! The total weight of the 16 lug nuts and studs is just 2lbs, the oem bolts weigh over 4lbs!! much lighter than the stock bolt weight. 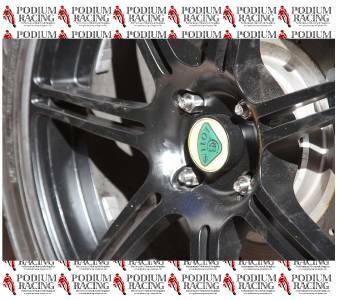 All Lotus’s come with the combo wheel lug nuts and studs that are fiddly to assembly. Not to mention the odd sized Torx fitting. 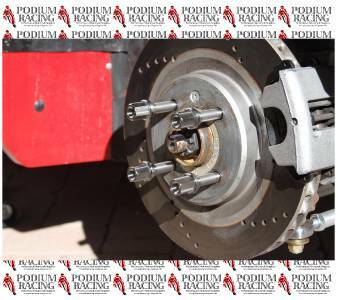 Go the way the race teams do by changing to wheel studs and matching lug nuts. 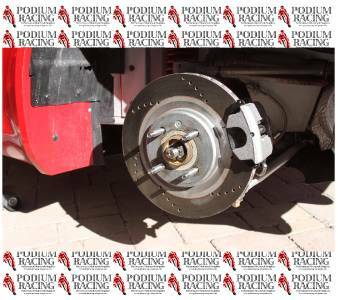 The studs allow quick wheel alignment and the nuts then firmly center the wheel. We recommend using a thin wall sleeve wrapped deep impact 17mm socket for our nuts which will protect the wheel surface while assembling.